As we finally enter summer, you may be wondering how you can make sure your home is ready for the warmer temperatures and increased sunshine. Often lasting until September, our summer can be somewhat hit and miss but that doesn’t mean we can’t throw ourselves into making the most of it. From inviting the sunshine to flow through your home, or making the space appear bigger when you invite guests over, your home only needs a few subtle changes in order to be well and truly transformed. So, if you’re searching for a way to make your home summer-friendly this year, let Phil Coppell Limited guide you. From upgrading your windows to making changes to your conservatory, you could have what feels like a new home with just a few hassle-free alterations. In the summer we’re blessed with longer hours of daylight, meaning we have beautifully long evenings and light early mornings. There’s something about the extended hours of sun that cheers everyone up a bit, and makes getting up for work that little bit easier than it does in the dark. So, this summer you should find ways to maximise natural light and encourage it to enter your home at every opportunity. It may sound like you have to start ripping out parts of your home, but it’s much simpler than you first think. One of the main ways light enters our homes is through the windows. An important part of your house for many different purposes including ventilation and light, it’s also important that they don’t let heat escape. A popular choice for modern homes is to have aluminium windows installed. But what difference can they make? Aluminium is known for its strength and durability, but also its lightweight properties. For this reason, the window frames can be made incredibly slim, creating room for more glass. This naturally lets in more light to your home, without compromising on insulation or energy efficiency. Low maintenance with maximum results, aluminium windows are a modern solution for your home. The beauty of the summer season is that our gardens are often in full bloom, and we need a chance to enjoy it even from inside our homes. When windows aren’t quite enough, you can enhance your patio doors to give a full view of your gardening efforts, as well as letting the sun stream in. Bi-folding doors are becoming a go-to way of opening up your home and making you feel as though you’re closer to the outdoors, from the comfort of your living room. Adding bi-folding doors is a faultless way of maximising the summer weather; open them up when it’s blazing, and simply close them to provide protection and insulation from the elements. The British weather is unpredictable and as such, you’ll need to make sure your home is prepared come rain or shine. 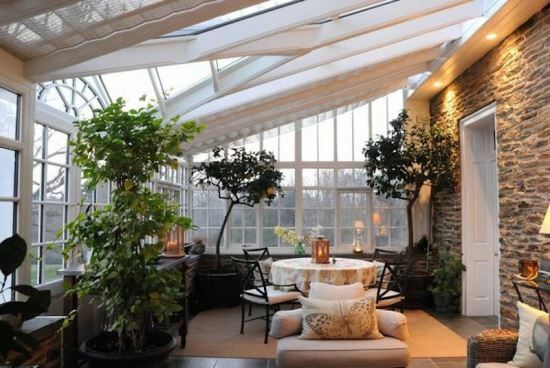 If you have a conservatory, you may have noticed that the temperature of the room isn’t quite what you’d prefer. Conservatories can be notorious for extreme temperatures across the seasons, meaning families close the door on them altogether. This issue can be fixed with a simple alteration to the structure. 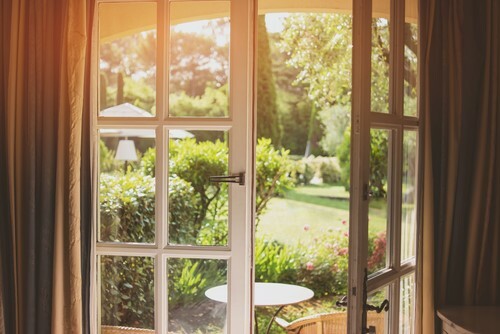 Conservatories are great for enjoying the summer weather and are often placed right on the edge of your garden, but it’s no good if it feels like a greenhouse. Changing the roof can help to regulate the temperature of the room and ensure it is comfortable all year round. Choosing a solid tiled roof, instead of a glass one, can transform the area and turn it into a usable, functional space for you and your family.